At Century Studios, we offer turtleback shades a wide range of sizes, shapes and colors. 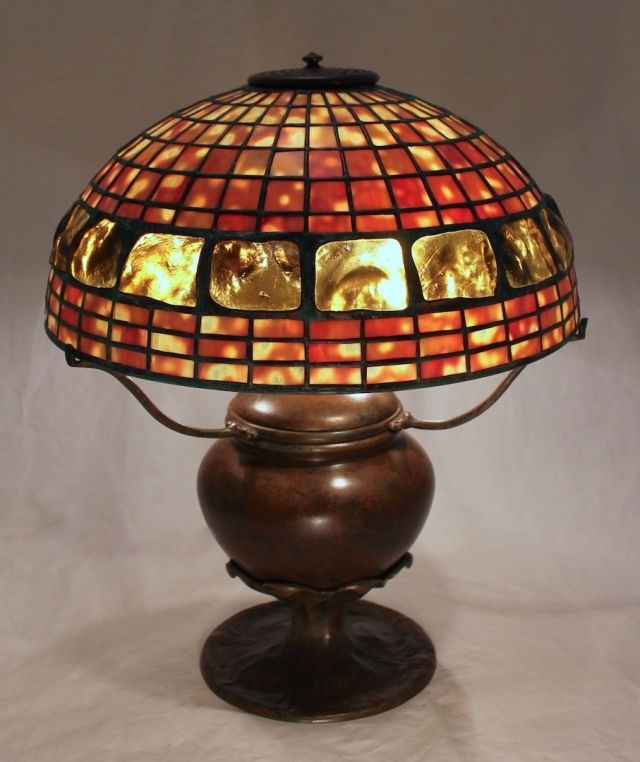 For this 16″ Turtleback shade, Hand cut & faceted light yellow/amber turtleback tiles are bookmarked by rows of mottled geometric glass in deep amber mixed with yellow. This shade was commissioned by an East Coast client and is shown on the Flower Petal base (overall lamp height is 18″).